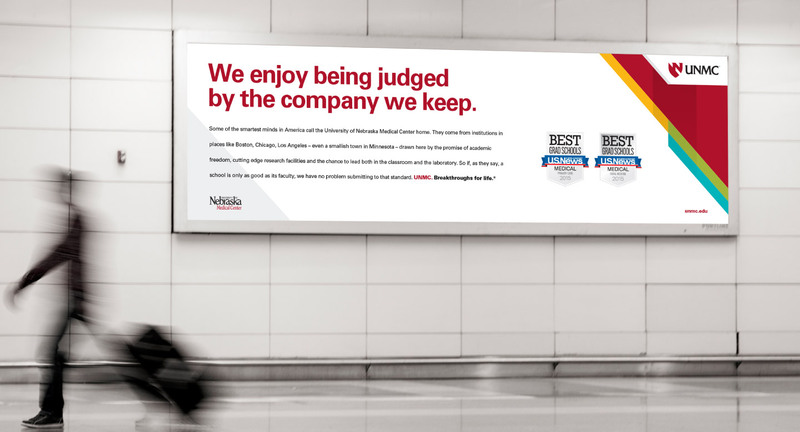 Attracting the best demands the best. Harvard. 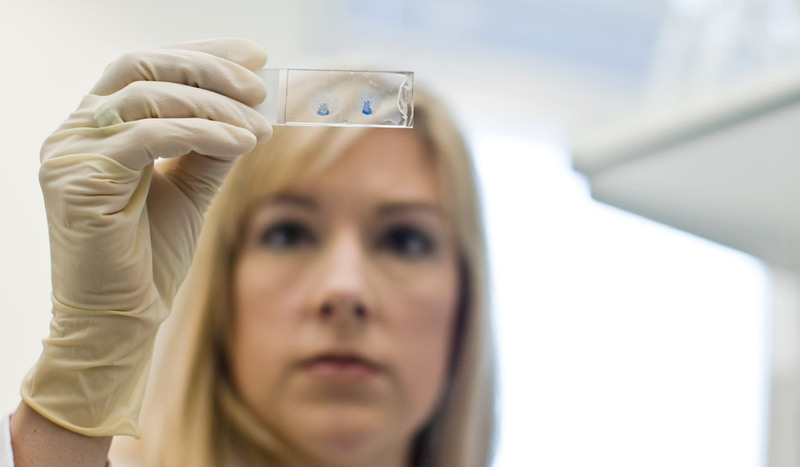 Johns Hopkins. The Mayo Clinic. 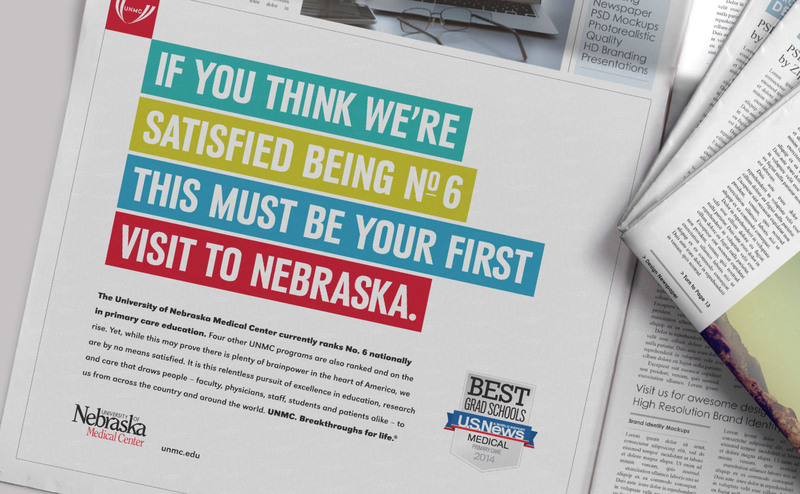 Yes, you’ve heard of these top-ranked medical schools. 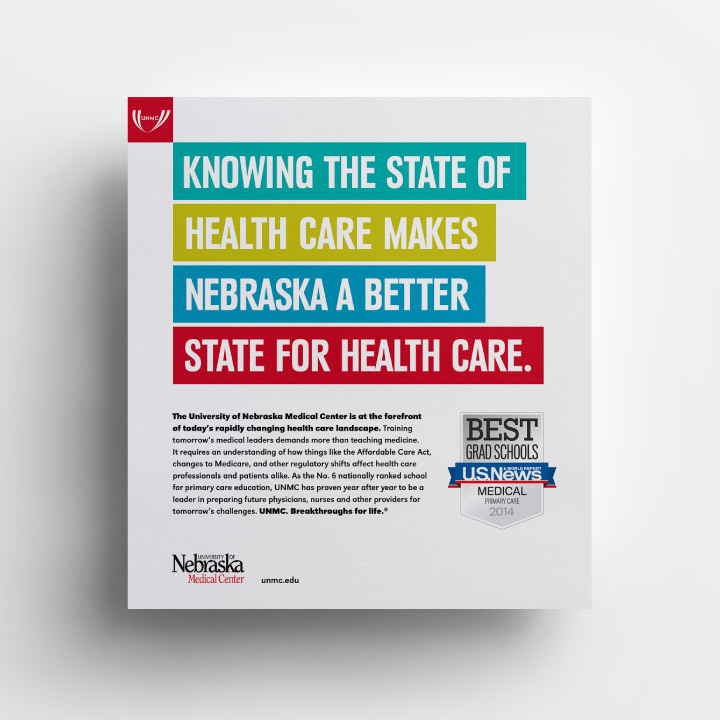 But did you know the University of Nebraska Medical Center is ranked No. 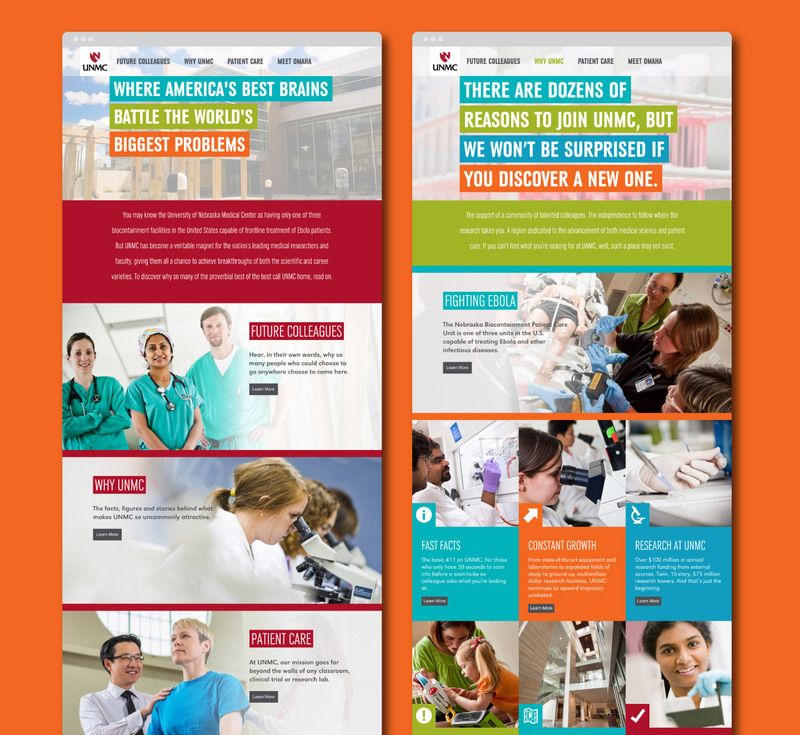 6 in Primary Care by U.S. News and World Report? Probably not. 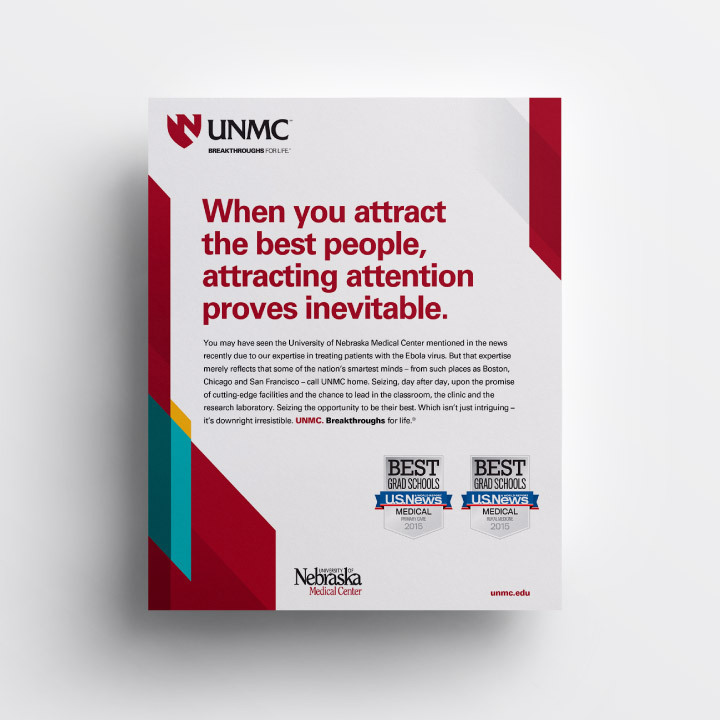 Yet, its low profile notwithstanding, UNMC managed to grow steadily despite the economic and healthcare upheavals of recent years. But that growth, positive though it was, needed a bit of a boost. 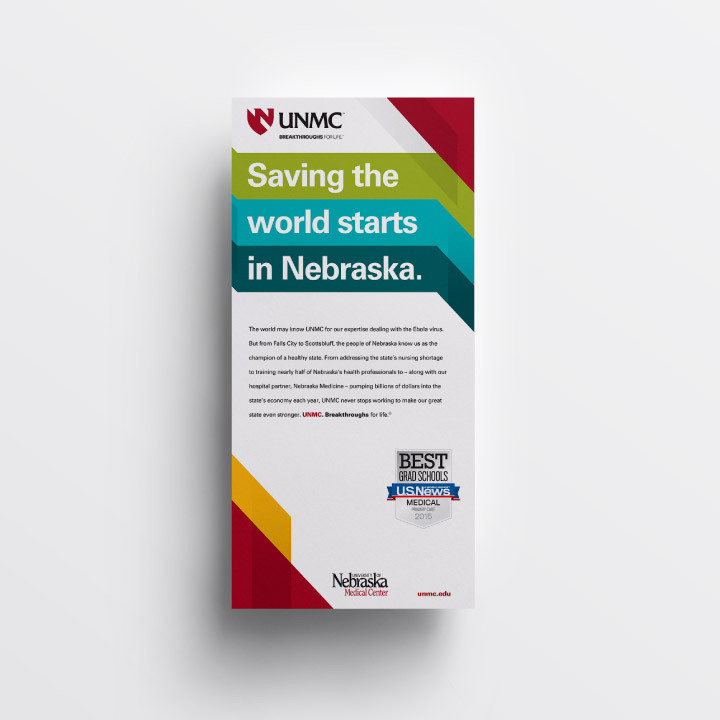 We worked with the client to create a multi-prong (fine, integrated) campaign to elevate the school’s profile among potential faculty, prospective students, the state government (funding), and the local community (support for said funding). 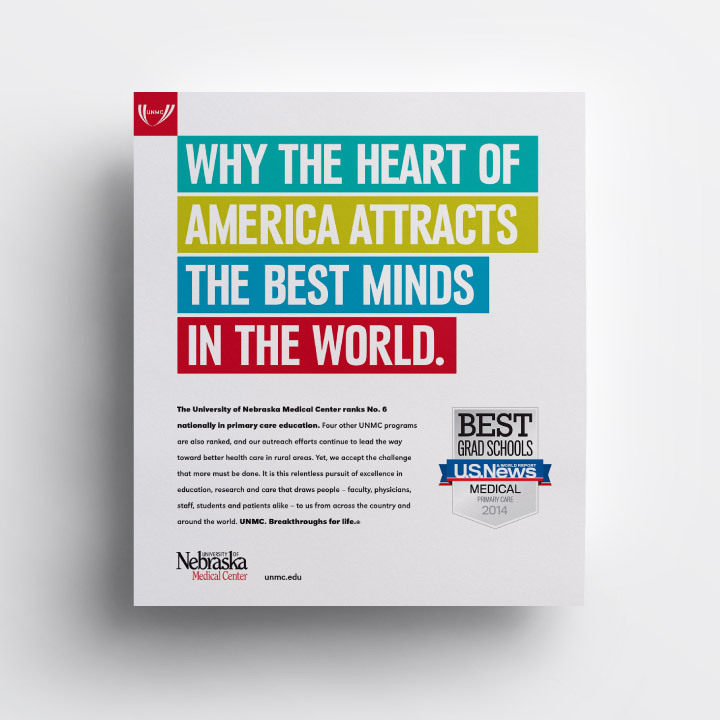 A combination of print, ambient, digital and radio ads drove overall awareness, while specific pieces pushed would-be professors to a recruiting microsite highlighting the multiple reasons why the best medical brains in the world should want to move to Omaha, Nebraska. We developed the site to live nicely within the university’s master site (while they were transitioning backend architectures, no less) while still remaining responsive for mobile. Both print and online efforts drove (and continue to drive) higher-than-average click-thru rates. 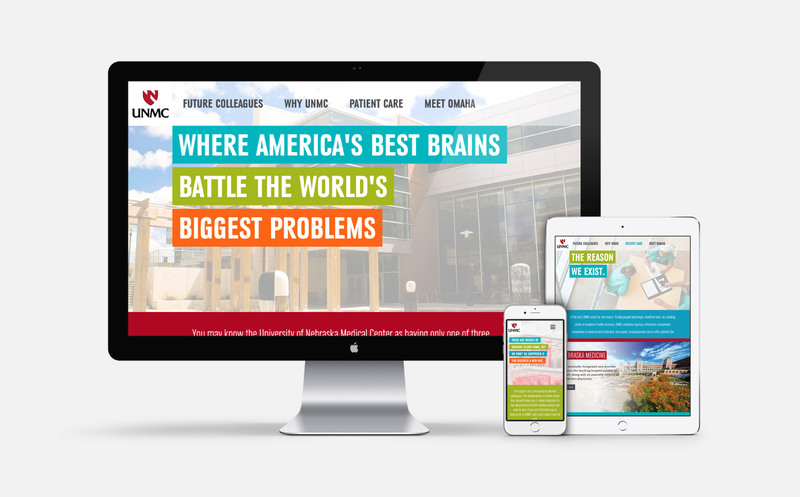 The site itself – which is much less sanitized or antiseptic than one would expect from a medical institution – continues to evolve with new and updated content. Which would imply the client is quite pleased, but why settle for implication when the client has actually stated as much.